If you only heard with your ears, then any audiologist would do…but the truth is, it’s your brain processing what you hear. And no matter how state of the art your hearing instrument may be, it will not do you any good if it’s not properly programmed and adjusted by a licensed and trained audiologist! That is why the Doctors at Hearing Health Center take the time to learn all about you, establish a relationship with you and your family, and provide YOU with a solution for your hearing problems that suits YOUR individual needs. Education and training matter! Audiologists are the experts! Audiologists degrees are very advanced; either a Doctorate of Audiology (Au.D.) or a Masters in Audiology (MA or MS)–all audiologists at HHC have a Doctorate! Audiologists are educated and specifically trained to identify, treat, and manage hearing and balance problems. They should be able to provide clinical and counseling advice to both you and your family members to ensure effective communication. Audiologists may have a Certification of Clinical Competence in Audiology (CCC-A). Audiologists belong to National or State organizations such as American Academy of Audiology (AAA), American Speech Language Hearing Association (ASHA). Academy of Doctors of Audiology (ADA), or Illinois Academy of Audiology (ILAA). Commitment to YOU for service and follow up–at HHC our vision is to be as skillful and knowledgeable as Mayo Clinic and provide as good of a guest experience as a Four Season’s hotel! Communicate regularly–at HHC, if you don’t call us, we’ll call you! Guarantee to provide the best care available–having passion for what we do! According to the Better Hearing Institute, the number one reason for patient satisfaction and success with hearing aids is attributed to the knowledge, skill, expertise, care, and guidance of the AUDIOLOGIST! We invite YOU to experience the Hearing Health Center difference–we absolutely love what we do! Thanks for putting together some tips for choosing the right audiologist. You make a good point about how, aside from great credentials, it is best to choose someone who treats you with respect and makes you feel comfortable. I have been having some trouble with my hearing lately, so it seems like a good idea for me to ask around for some reputable audiologists to consider. It’s good to know that I should be looking for a medical professional who has a Doctorate or a Masters of Audiology. I think that will really help me narrow down my options that I currently have. My general practitioner gave me a list of audiologists in my area, but there are a ton! I appreciate your tip on looking for an audiologist with a great reputation. I would imagine that a company that has good patient testimonials would be someone who would do a good job. We think our son may have some hearing issues so when we take him to an audiologist we’ll have to find someone with a good reputation. I have a close relative that his hard of hearing, and she is taken great care of by her audiologist. I really like what was said about how it is important to have an audiologist that will take the time to learn about your hearing needs, and even about your family! This is great because hearing loss affects not only the individual, but the individual’s family! Thanks for pointing out that you are actually hearing with your brain and not your ears. You also mention that your hearing should be properly programmed and adjusted by a license. I think it’s a good idea to choose an audiologist that has been referred by your trusted friends and family. That’s a good tip to check if the audiologist has the right training. It takes a lot of education to be a hearing doctor. I’m a musician and as I get older I think I’m going to have to find an audiologist to visit regularly. You said that audiologists are educated and specifically trained. If I was going to find an audiologist I would want to make sure that they had the proper training. I’ll need to do some research so that I can find the right professional for my needs. I like that you mentioned finding a person that is passionate about what they do and helping others. Your hearing has an incredible effect on your overall health so you want someone who cares. We are moving to a new area and will need to be finding a new audiologist. I will be sure and visit them personally before hiring. I didn’t realize that there were so many credentials and training that an audiologist needs to have in order to be an expert. 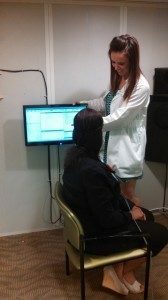 Do all practicing audiologists require the same credentials regardless of what state or locality they practice out of? I’d be curious to know since I want to take my mother-in-law in for a hearing test. A good friend of mine was considering finding some audiology services. This way, he could get the desired help that he has been looking for in this medical field. I will be sure that he looks for someone that can provide clinical counseling and that is highly educated.